Himalayas, the greatest mountain range of Asia, is home to world’s highest peaks including Mount Everest and K2. They are a group of mountainous regions situated in Southern Asia including Pakistan, India, Bhutan, Tibet, and Nepal. Comprising of 30 mountains and 9 of the highest peaks in the world, they form a fence between the Tibetan plateau to the North and alluvial plains of the Indian subcontinent to the south. Stretching over 2,400 kilometres (1500 miles) from Assam in Eastern India to Pakistan in the west, they hold the highest peaks and largest glaciers on earth. Himalayas have held a profound significance on the mythologies, literature, religions and culture of South Asia. Since centuries, they have been the centre of attraction for the pilgrims from India and Nepal and for the mountaineers all over the world. Ever since Edmund Hillary and Tenzing Norgay scaled the Mount Everest, many have set out to explore the unknown zones of Himalayas, which is the greatest challenge for the mountaineers all across the globe. Read on to discover fascinating facts about the Himalayas in the write-up. The Himalayan Mountain Range was formed roughly about 70 million years ago as a result of a collision between Indo-Australian and Eurasian plates. The literal translation of Himalayas is ‘Abode of Snow’, which was coined by joining two Sanskrit words — ‘hima’ (snow) and ‘alaya’ (abode). According to the Hindu mythology, Himalayas is the home of God Shiva. Himalayan mountain system is one of the youngest mountain systems stretching across six different countries namely India, Nepal, Bhutan, Tibet, Afghanistan and Pakistan. Himalayas are the highest mountains in the world, with 30 peaks towering over 24, 000 feet. They are about 1,490 miles (2,400 km) in length, averaging about 200 to 250 miles (320 to 400 km) in width. Himalayas cover 0.4% of the space of earth. It includes 612,021 square kilometres of the total 153,295,000 square km area of earth. The geographic variation in Himalayan mountains is so stunning that individuals travelling through Himalayas experience jungles and green vegetation landscapes. The climate in Himalayas gets colder as the elevation increases and become wet as the elevation drops. The climatic changes in Himalayan regions change quickly. As a result, the areas are prone to monsoons, floods, snowstorms, landslides, earthquakes, tremors and high winds. The Himalayas are alive geographically! The Indo-Australian plate is still moving at 67 mm per year, and over the next 10 million years it will travel about 1,500 km into Asia. Himalayas includes snow-capped mountains as well as greenish and scenic valleys, which lay in its path and on its base. The Great Himalayas, the highest zone, include a huge line of snow peaks with an average height, which exceeds 6,100 m (20, 000 feet). This region is one of the most unapproachable areas in the world. Several greatest rivers in the world — the Ganges, the Indus, the Brahmaputra, the Mekong, the Yangtze and the Yellow Rivers originate from Himalayas or from the Tibetan Plateau. These Himalayan Rivers are older than the peaks itself. Though there are people living in valleys between Himalayan ridges, few people live on the tip of mountains. Himalayas are the source of Indus Basin, Yangtze Basin and Ganga-Brahmaptura, three primary river systems in the world. There are 25 points in Himalayas, which exceed 8,000 metres. There is hardly any plant life growing near the peak of the mountain due to extreme conditions such as powerful winds, cold temperatures and shortage of oxygen. Himalayas have glaciers of up to 43 miles (70 kilometres) in length. They are the abode of third largest deposit of ice and snow, after Antarctica and the Arctic. Himalayas remain the less visited part of the earth, which makes them the most virginal part of the earth after Antarctica. The medicinal herbs found at the foothills of Himalayas are the purest of all. In 29 May 1953, Edmund Hillary and Tenzing Norgay became the first human beings to climb Mount Everest, world’s highest peak, located in Himalayas. Tenzing buried his daughter’s red and blue pencils on the top of Mount Everest. Mount Everest has a death rate of 9%. Approximately 150 people have laid their lives in their expedition to the Everest. 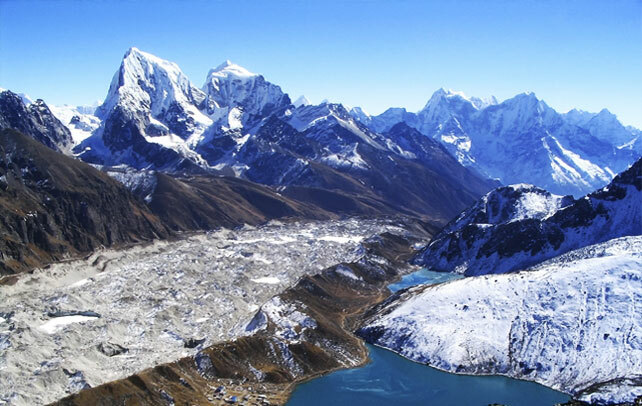 The Himalayas in Nepal includes over 250 peaks of which all of them exceed 6,000 metres in height. Nepalese call Himalayas ‘Samgarmatha’ that means ‘Goddess of the Universe’ or ‘Forehead of the Sky’. Mount Everest was given its name by Sir Andrew Waugh in 1865, the Surveyor General of India in honour of his predecessor Sir George Everest. Although there were already two local names for Everest — Sagarmatha and Chomolungma, he named it ‘Mount Everest’. The Himalayan ranges acts as a climatic divide, affecting the water and air circulation systems and exert a dominant influence on the climatic conditions in the bordering countries. The animals living in Himalayan region are under constant threat, the reasons being widespread deforestation and loss of their habitat. Those living in top altitudes have thick skins and hibernate during the winters, when the food is scarce. Are you scared of swine flu? Learn how to deal with it.